In this article, I will review Stuart Ross & Jay Kubassek’s six figure mentors program. For those who have recently heard about it and are looking for guidance as to whether is it a legit program or a scam, I will break it down for you. Although it is very possible to earn online from home, finding a legit platform to start with is not that easy. This is not because the sources of online earning are low but the number of scams have increased significantly in the past few years. I know people who have given up on earning online because it has cost them a lot and they have never managed to earn reasonably. This is why we review online make money programs for you, to guide you on whether you should join a program or not. If you have tried Stuart Ross & Jay Kubassek’s six figure mentors already and you are looking for an alternative program, try wealthy affiliate. Wealthy Affiliate is a program that can teach you how to make money from home for an affordable cost. You can join today for free by clicking here. Since the fall of companies like the empower network, many schemes have popped up to replace it. Many of these schemes have names like 5 figure, 6 figure and so on as a prefix to their names. Schemes like this take advantage of the difficult economy to prey on the desperate. It is my desire to help fellow budding entrepreneurs to steer clear of these scams. You will find many reviews on the internet about six figure mentors but most of them have been published by their promoters. I will be objective and will help you determine if this is a good opportunity or something that should be avoided. 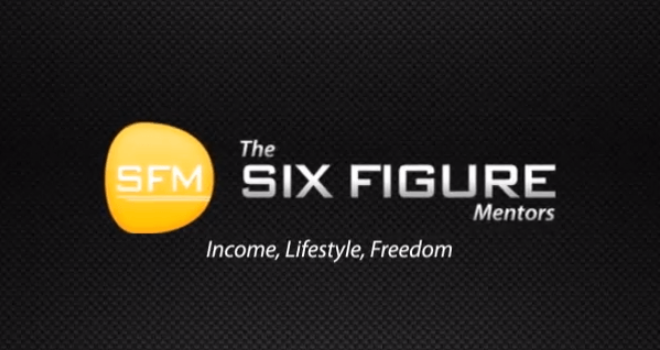 What is Six figure mentors all about? Before making a statement about a program, it is important for you to know what this program actually is. Six figure Mentors is basically a program that promises to teach you about online business. The main moto of the program is to help you to earn more and work less. We will not comment on their moto yet. Let’s continue and find out about the features of this program. This program supposedly provides members with the knowledge, training and tools that will help them in establishing an online business and running it successfully. This is not the end yet. They also offer members the SFM (Six Figure Mentors) package where they can make money as an affiliate. They claim affiliates can make commissions of up to 1000 dollars per sale, Insane (reminds me of the empower network that just crashed finally this month). They provide a series of videos that provide information about the program and online business to their visitors. But to access these videos they want you to share your email address. After providing your email address, you soon find out that there is nothing out of the box in these videos. They are really telling you nothing new and worth buying. You can find similar or may be better videos on the internet for free. You can see the desperate attempt that the marketers Stuart and Jay have made to convince you that this is the right program for you. How much does the six figure mentors program cost? As seen on the image above, there are basically four membership levels offered by this program; free, Intro/student, basic/essential and elite. You can try the affiliate access for free but you wont have access to the digital business system and training. If you chose to start from the Intro membership, you will need to pay 29.95 dollars as fee up front and then 25 dollars on a monthly basis. According to the marketer Stuart, there are two reasons to go with this application process. They can evaluate whether you are good fit or not and you can have the time to determine if it is a good program or not. The fee seems to be on the high side but they give you the option to get refund within 30 days. You will get access to the SFM seminar footage and you will be assigned a personal coach who will answer your question. This looks good but the coach will keep telling you that you have to upgrade your membership to get the best training. Because with this level of membership, you get little or no training. To get access to more on the digital business system and training, you need to join the essential membership that is obviously more expensive. You have to pay 297 dollars upfront and then 97 dollars every month. This will give you full access to the lounge and SFM modules. You will have the chance to be the part of weekly marketing training with a senior business coach. But this senior guy will go hard on you to become an affiliate and to join the elite membership. Now the elite membership of this program requires you to pay 2500 dollars for a year and then 97 dollars every month. You will get live coaching with the Gurus and you can qualify for the affiliate commission. Now you know everything about the program, let’s examine these facts before making our conclusion. Is the six figure mentors program for you? I have laid down the facts but the final decision on whether to join this program or not is yours. It depends on what your goals are and if you can afford to pay the price. At first you have to exchange your email to access the videos. This is not a red flag because almost all membership companies out there do this. It is just a clever baiting to have you subscribed to their email list. The videos in my opinion are not of good value but it maybe because I am already an experienced marketer. People in these videos spend half of the time bragging about their riches which means that you cannot expect much from these videos. Moving to the application process. According to the owners, the application fees is to determine whether you are fit for the program or not. But suppose if someone buys the elite membership would they turn them away? No chance. Also, if you get the feeling that all the memberships are geared towards buying the elite membership; you are right since the other two memberships are pretty much worthless. Although there are some features that you will not get in intro and basic membership, it really matters not since the purpose of all these features is to promote Six Figure Mentors. You will be trained to promote SFM and not any other product. Another simple thing to consider here is that you are paying a huge amount to become an affiliate. Those who know about affiliate marketing also know that you don’t have to pay to promote products and services. All you have to do is to spread the word about their products and in return you will get commission on their sales. So, this is a bit fishy for a company to charge to be an affiliate. Also, the training program is only focused on one thing and that is to promote SFM. And if you have to pay to promote SFM then you can find many other similar programs in considerably less price but like I said, it is up to you. Also, there are many complaints registered about Six Figure Mentors. Although you can’t please everyone but it can be a worrying sign if the number of complaints become double the positive reviews. Some clients have claimed that they are provided with the auto responder and if it is the case then it will be complete waste of your money. If we put aside the price, the training that these program offers contains some of the topics that can help you in internet marketing but their training is all about promoting their overpriced program. This is the point where we can consider it to be a scheme because a successful marketer needs to do more than just promote one product. This program is an MLM scheme that reminds me of the empower network program that came down crashing this month. Also, the moto of the company to make you rich with little effort, makes it controversial itself. All you are doing is paying high prices and nothing else. Many of you may have different opinions about the program and we would like to hear from you as well. Also check out this post listing the top 100 legitimate work from home jobs if that is what you are looking for. This is an effective platform to take money from you. I cancelled when I realised I was getting nothing. I then moved on to another online business which was semi effective but this lead me to another which has now ment I have quit my job and getting the life I love. Key is keep looking but don’t go in blinked nor negative. I am happy you found something that works for you. If you don’t mind, will you let us know what this new found love is? Thanks for sharing this post. I too had come across this summer program , but I didn’t join because I too felt something shady about it. At that moment, it was a gut feeling but now I realise I made the right decision. It is too pricey for me anyway. I believe there are other programs that offer more for half the price of the six figure mentors program. Your post will benefit a lot of people who are searching for affordable ways to make money online. Other than Wealthy affiliate, do you know of any other affordable education programs online? Six figure mentors is an OK program. They do provide courses that teach you some important Internet marketing techniques. The main problem is in the high price tag. Also, it mainly teaches you how to promote the program. So in a nutshell, you will pay the fee just to become an affiliate of the program. There are many programs out there that will teach you more for half the price of the sfm program. One of such programs is wealthy affiliate as you rightly mentioned in your comment. Affilorama is also a good alternative. Finally, there is the Chris Farrell membership. I have heard good things about the last two programs. I am a free member with Affilorama. I have no personal experience with the Chris Farrell membership program. I am currently a member of Wealthy Affiliate for three years. WA is not perfect but it is one of the best out there for those interested in learning about affiliate marketing. When I hear the word Six figure attached to the name of any program online, I take precautions. It s easier said than done and six figures is a lot of money. I have read series of reviews on six figure mentor scam and I haven’t seen a positive comment on them so far which to me is proof that they are not legit. People hear the word six figure and they get excited and fail to realize that it is unreal that several people who join a program will all make six figures online as promised. It is smart to investigate as you did before joining such a program. Six figure mentors is an over prices program that sells dreams in my opinion. I hear about this site six figure mentors today only. Luckily, I had never come across with any scam or unreliable programs. I was searching for a stable job when I met with my mentor. 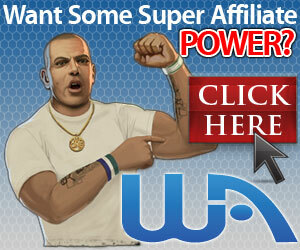 He introduces me with Wealthy Affiliate directly and this is the first online marketing site I have ever join. After joining WA, I got many chances to learn about so many things by reading the articles available here. Thank you very much for your contribution. You are one of the lucky few who did not fall for a scam before finding a site like Wealthy Affiliate. I was not so lucky. I felt for one of the WAH programs and was scammed stupid. Six figure mentors is one of those programs that selling dreams to people. Making them believe that they can become rich over night is just wrong.